The 2017 Hyundai Xcent facelift comes with a host of new cosmetic updates and features along with a new diesel engine. 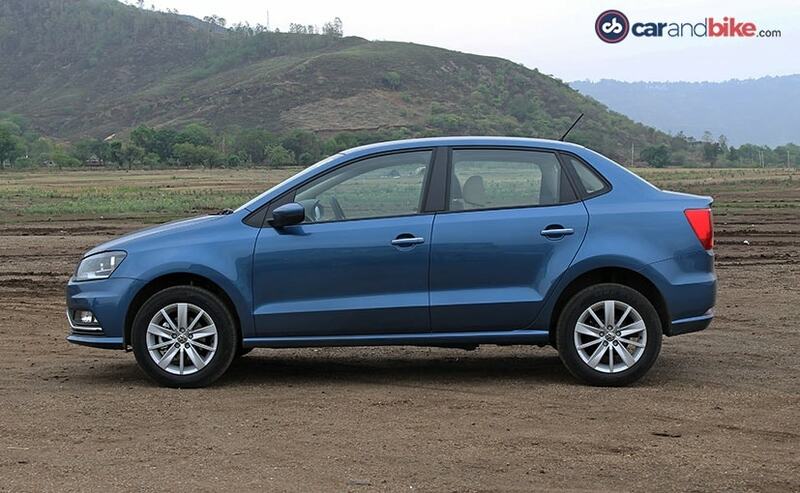 But is it better than one of the most feature-rich car in the segment - the Volkswagen Ameo? Let's find out. There's a long line of subcompact sedans coming our way; and yes, all are 'new' or 'new-generation'; and then, there are the 'new entrants' as well. All-in-all, the subcompact sedan is here to stay, whatever one might think of its existence. It's a segment that's born and has flourished in India and the latest car that has been launched, in this segment, is the facelift of the Hyundai Xcent. 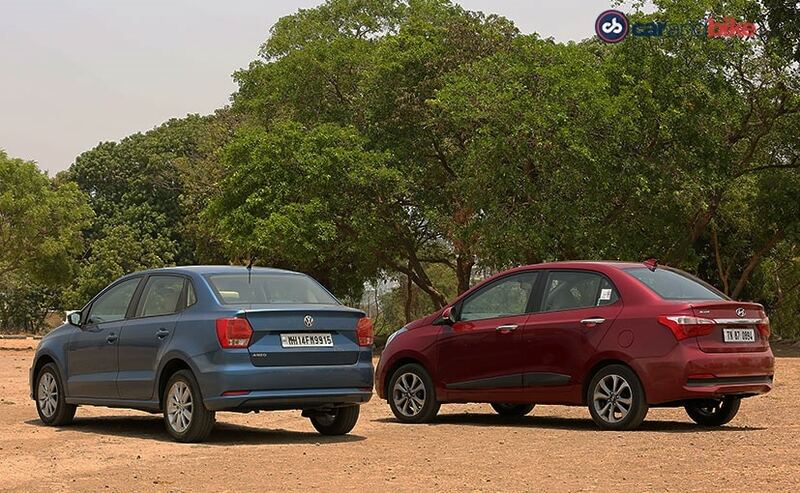 While we've already had a chance to drive it, we wanted to see how it would perform, as far as its competition is concerned, which is why we brought in the Volkswagen Ameo, a car that has been doing extremely well, in this segment. The Ameo was launched last year and it first came in the petrol guise, followed by the more powerful diesel; and well, it turned quite a few heads. We saw VW's aggressive side, for the first time, when it announced the price of the car; and, when we heard the figure, we knew it meant business. The Xcent, with the facelift, already has a challenge on its hand, as it has to live up to what is probably the most feature rich car, in the subcompact sedan segment. So, does it? We find out. As far as design is concerned, the Ameo is plainer looking. Up front it's similar to the Polo, with hardly any differentiation. As you move along the side and reach the rear, it's all about the boot; and VW India has done a good enough job, to not make it look awkward. The design is well finished and the Ameo looks well-proportioned too. 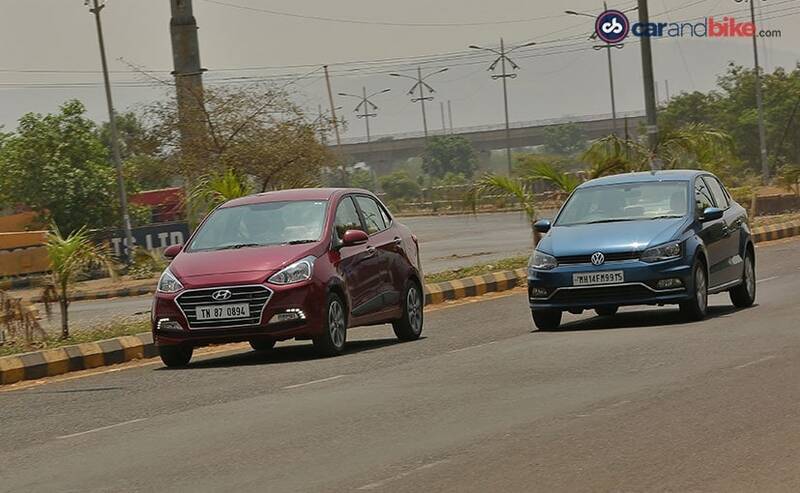 Compared to the Ameo, the Hyundai Xcent is the better looking one. 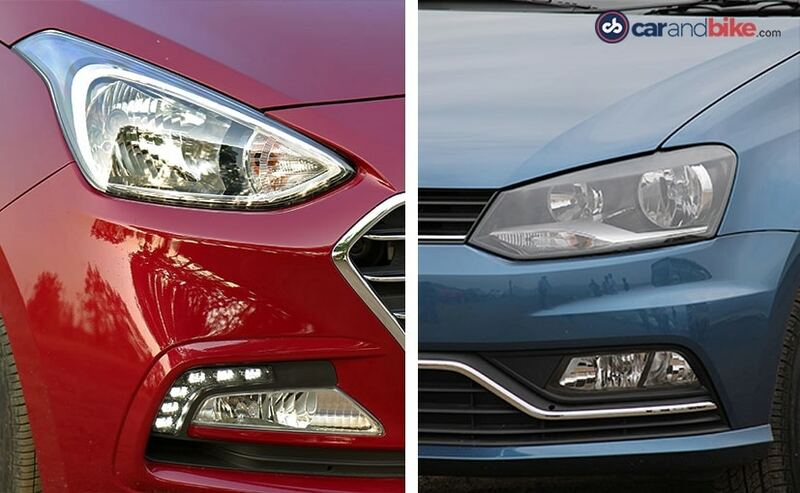 With the front-end design, inspired from its bigger brother - the Elantra, the Xcent looks pretty, at first glance. The front bumper has been redesigned and the foglamps are new and of course the new DRLs. While we expected it to have the same face, as the new Grand i10, Hyundai certainly surprised us, with this new look. The wraparound taillamps are proportional too and there's a lot of effort, put into making this facelift stand out; and it shows. There's a generous dose, wait, a highly generous dose of chrome, splashed all over the car, but, we feel, it could have done with less. So, on the looks front, the Xcent holds the upper hand. 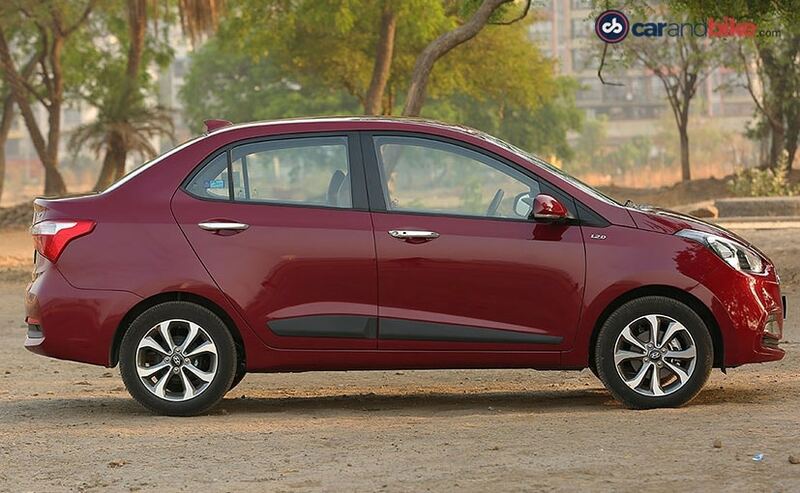 As far as dimensions are concerned, the Ameo is marginally longer, wider and taller, than the Xcent. It has more ground clearance, as also space, between the wheels, than the Hyundai. 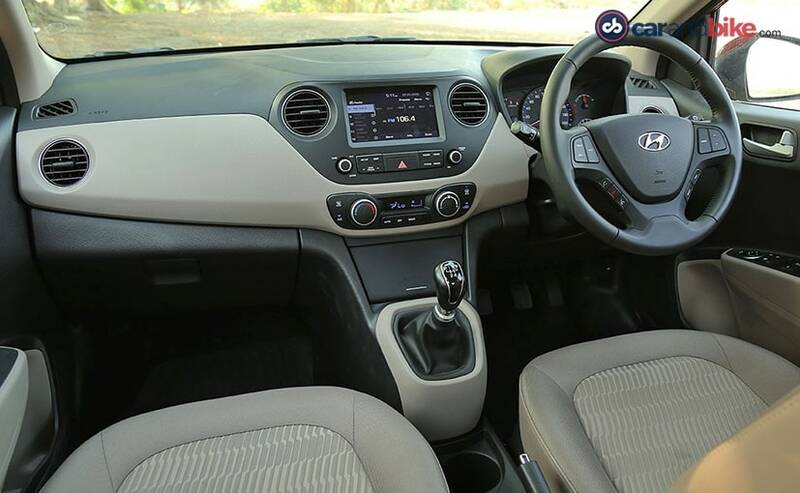 However, the Ameo does feel a bit crammed, at the rear, while the Xcent has decent space, for 3 people. As we said earlier, the Ameo is a feature rich car and Hyundai has had to do update the Xcent, quite a bit. 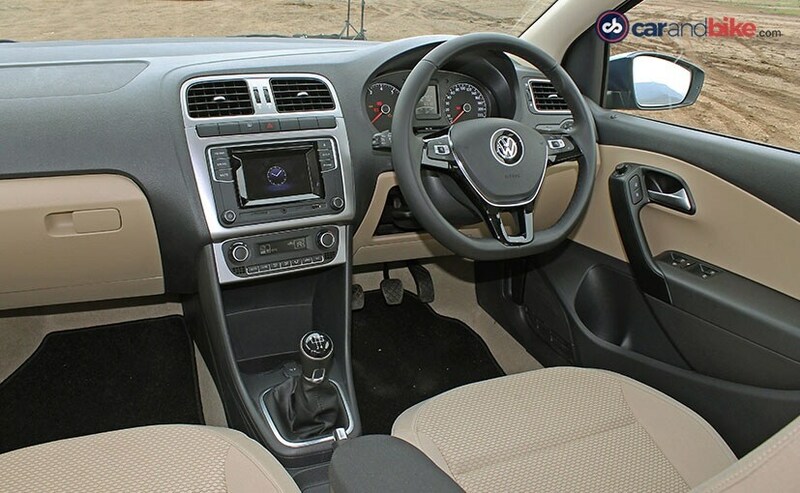 The Xcent's cabin is a familiar place and gets the same two-tone beige and black interiors, while the dashboard breathes a breath of fresh air, with the new 7 inch touchscreen infotainment system. Hyundai now offers Apple CarPlay and Android auto, with MirrorLink and voice recognition, something that's been introduced, in the segment, for the first time. Sadly though, there's no navigation.There's also a reverse-parking camera and a 3-spoke multifunctional steering wheel. It also gets a Start/Stop button and that's great too. There's also rear AC vents but the Ameo gets those as well. On the safety front, the Xcent comes with dual airbags, as standard, across variants. The Ameo isn't far behind. It gets features like a touchscreen infotainment system, with smartphone and app connectivity, along with reverse-parking camera and sensors. It gets steering mounted controls, for audio and Bluetooth telephony. The Ameo too misses out on navigation, but gets stuff, like rain-sensing wipers and even cruise control (which is a segment first). The Ameo is the only car, in the segment, which gets ABS with EBD and dual airbags, as standard, across all variants; and that's a big plus. 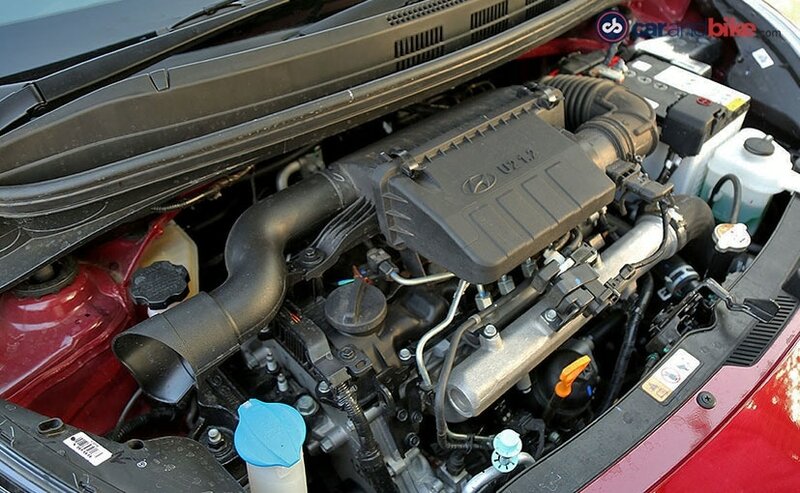 The biggest plus, however, is the 1.5-litre diesel engine and its output of 108 bhp, which makes the Ameo, the most powerful diesel subcompact sedan, in the country. 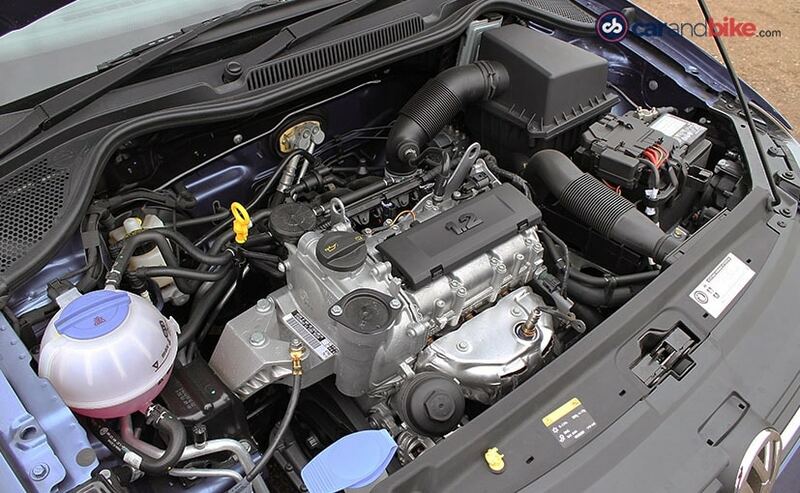 The Xcent too receives a new engine and this one's the 1.2-litre, which we've seen on the Grand i10. Power figures stand at 74 bhp, but it's the increase in torque that has made a lot of difference. The 190 Nm makes the car a bit more peppy and you get the power early, so it's a bit more enjoyable now. Though there is a bump of 2 bhp, the Xcent needs to be above 2000 rpm, to be in its powerband and once it's there, it's happy and so are you. The 5 speed manual transmission is seamless and the light clutch does not tire you, in stop/start traffic conditions. The suspension setup too has been worked on and it's not too soft or stiff. The Xcent soaks in the potholes, with ease, and that's pretty impressive, given what the predecessor was like. Hyundai has done a lot as far as engine and ride quality are concerned, but has it done enough? Frankly, no! The Ameo is still the car, you want to be in. There's more power, more torque; and it's just like being behind the wheel of the Polo, but the stiff suspension does act up a bit. The ride is a bit bumpy, when you encounter bad roads; and though VW said that it has worked on the suspension, for the Ameo, we can't really see the difference. There's ample power though and it's quick off the line too. The steering feel might be a bit of a downer, but you enjoy every moment, when you're behind the wheel. There's 250 Nm of torque too, which provides pulling power, from as low as 1500 rpm. The 5-speed manual gearbox slots in well; but, of course, the choice will always be the 7-speed DSG, which is the cherry on top of the cake. It's sublime, entertaining and an absolute joy. The gear changes are seamless and the power is constantly at your service; and hence, there's an obvious winner. Sadly, Hyundai does not provide an automatic variant, in the diesel - yet. But, as it is with Indian markets, it all comes down to price. The price for the Xcent diesel starts at around ₹ 6.28 lakh and goes all the way to ₹ 8.41 lakh, while the Ameo starts at ₹ 6.66 lakh and tops out at ₹ 9.62 lakh, for the automatic (both prices ex-showroom Delhi). Yes, the Ameo is costlier and, then again, the service has been a bit of an issue, though the company has put in a lot of bandwidth and investment, in making it better. 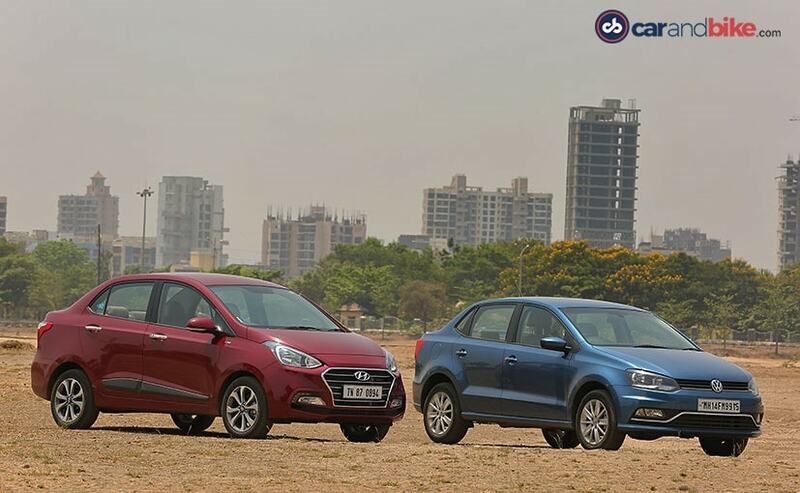 Hyundai has played it safe, with the pricing, and there are a lot of features, it now gets; but still, that additional power, top-notch features and, of course, the option of the DSG make the Ameo a very good choice.